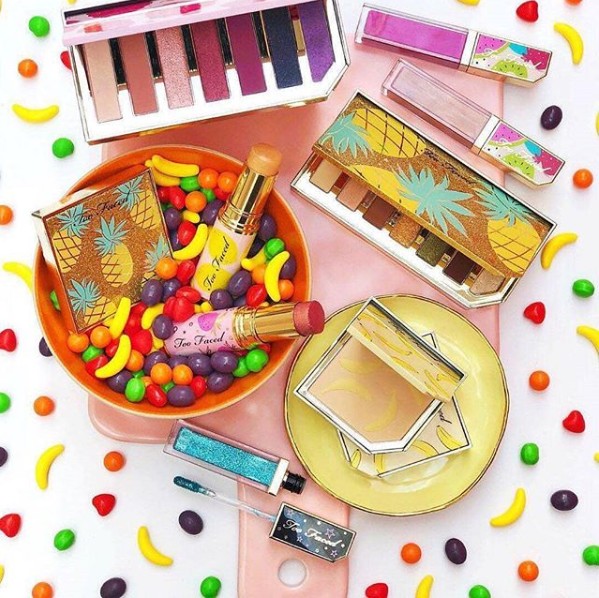 Two Sparkling Eyeshadow Palettes ($34) each with seven shades ranging in matte, metallic, satin & glitter finishes in Sparkling Pineapple & Razzle Dazzle Berry. Fruit Cocktail Blush Duo ($30) Four compact palettes in StrobeBerry, Plumagranate, Cherry Bomb & Apricot in the Act. 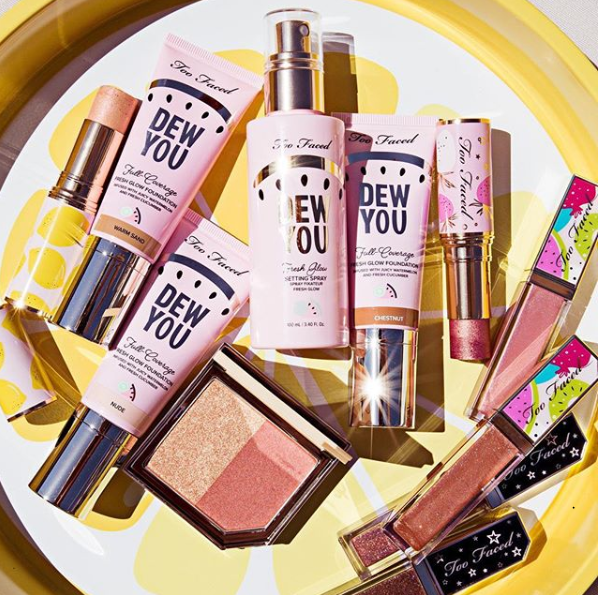 Dew You Full Coverage Fresh Glow Foundation ($36) with 20 shades. Phew…. that was a doozy. This collection is intense! And we love the adorable design and concept of it so much! 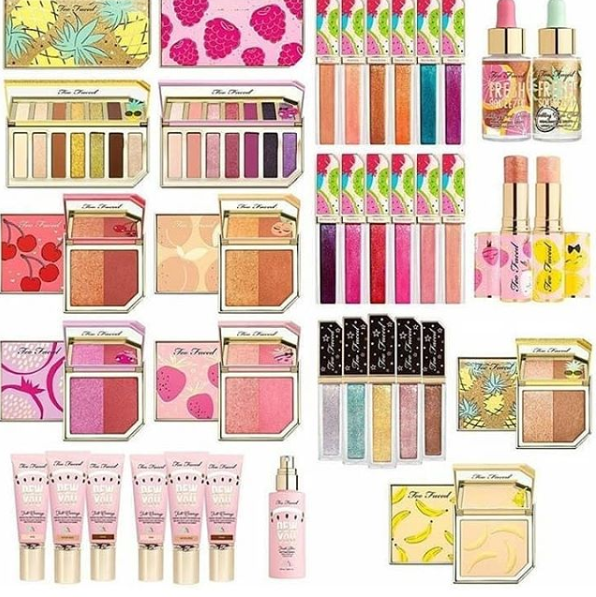 Too Faced is forever releasing the most cutest collections with the best packaging! However, sometimes it borders on childish, ya know? This one, however, I think is just right! It’s cute but not tooooo cutsie, if that makes sense. Our eyes are set right on that new foundation. We see full coverage AND dewy and we just about faint! That is literally all we ever want. I mean, it literally says “Fresh Glow Foundation” – sign me the heck up! Plus, pairing it with the dewy setting spray sounds like a glowy-skin lovers dream! What do you have your eye on? ?